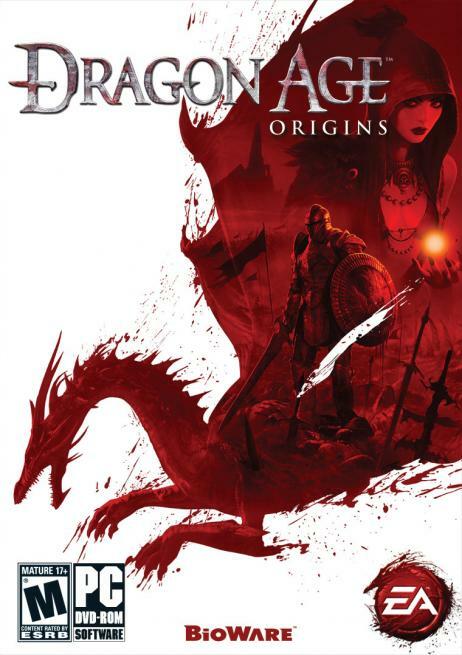 Let me start off by first saying that if you're looking for a quick, generalized overview of Dragon Age: Origins, then this article isn't for you. I'm not going to be covering the dark fantasy atmosphere the game employs, nor will I be covering the six origin stories at length or any of the specific goals that need to be accomplished during the game. All of that has been paraded about in countless previews on the web and in magazines, and I feel as though I have much more important ground to cover after spending several hours with the game. Because Dragon Age represents an entirely new IP for BioWare, being a Dungeons & Dragons rules specialist won't help you much for this latest foray in fantasy role-playing. Character creation kicks off with three primary choices - your race (human, elf, or dwarf), your class (warrior, mage, or rogue), and your origin (the options of which depend on the previous selections). From there, you move on to your character's appearance, where you can either choose particular presets or opt for total customization. If the latter is for you, then you'll be manipulating several different "sliders" within nine different categories (skin, hair, eyes, nose, mouth, jaws/cheeks, neck/ears, portrait, and voice). All of those categories are pretty self-explanatory, save for portrait and voice. We're not working with low-res, two-dimensional characters anymore, so don't bother pulling out your customL.bmp and customS.bmp images again. Instead, you'll be choosing how your character is rendered in his portrait - his expression (stern, happy, bloodthirsty, crazed, etc. ), which direction he's facing, the camera's distance from your face, and the background texture. For his voice, you can choose between wise, cocky, experienced, mystical, suave, and violent, though all of these presets only apply to combat-related remarks and the like as your character isn't fully voiced (for good reason, given the amount of recording that would be necessary to cover both genders across all races). From there, you'll move on to your character's six attributes: strength (melee attack/damage bonuses, intimidation during dialogue), dexterity (attack speed and defense), willpower (available mana), magic (effectiveness of spells), cunning (rogue skill and armor penetration bonuses), and constitution (available health). Depending on your class choice, each of these will range from 10-20 as a default, for a consistent total of 74 points. You're then given 5 more points to distribute as you see fit. Next up are skills. All three classes gain access to the same eight skills: coercion (intimidation and persuasion during dialogue), stealing (pickpocketing), trap-making (crafting traps), survival (tracking enemies outside of visual range), herbalism (crafting salves and elixirs), poison-making (crafting venoms and extracts), combat training (unlocks more advanced combat-related talents), and combat tactics (more script options in the tactics system). There are four ranks of competency to each skill (basic, improved, expert, and master), with each increase in rank having certain level and/or attribute prerequisites tied to it. The final character creation screen has you picking your talents. Depending on which class you've chosen (and, later, which specializations you pick or acquire), you'll gain access to particular talent groups that are each comprised of 1-6 rows of talents (with each row consisting of four different, interdependent talents). For example, a first level rogue can acquire talents within the Rogue, Dual Weapon, and Archery talent groups. If that same rogue eventually acquires the Assassin and Duelist specializations too, then identically-named talent groups will be made available during level-up from then on. Continuing with this example, let's say our ambidextrous rogue decides that he wants to cut down his foes with two blades at the same time. The Dual Weapon talent group features a total of twelve different talents spread across three rows. The first talent in each row typically has attribute and skill prerequisites, but moving to the more advanced talents within a row requires the talent prior to it and usually has a level and attribute requirement to boot.